it will get ugly for you, your family, your health, your sanity? If the Latter ... You Really Need to Take a Good Look in the Mirror. After All - Who Chose Your Current Job in the First Place? If You Can't See the Invisible Mistakes You Made This Time - You Are Very Likely To Just Repeat the Same Pattern. Doctors are often their own worst enemy when it comes to choosing a better position. It is not hard to find job opportunities. You probably have several in your InBox right now. That doesn’t mean a thing. - This is not about Job Search. - It is about how you make the highest quality Job Choice. Your success hinges on how you choose and evaluate opportunities – in detail and with precision - in a way that guarantees your next position is a much better match for you and your family. – Use These Tools to Get it Right the First Time ‘Round - because we know you were never taught any of this in your Residency Program. None of us were. Hello, my name is Dike Drummond. I am a family doctor and an executive coach specializing in the treatment and prevention of physician burnout. I have over 2000 hours of experience coaching physicians in all specialties. As you can imagine, I have helped dozens of doctors find new and much better jobs. Here is what we have learned along the way. Your choice of job is the single most important decision you will make in determining your quality of life for you and your family. Thank heavens you have decided to raise your standards here and quit this one. I know you probably tried your best to make this position work – for far too long. And I know for sure the very last thing you want is to be in this same heartbreaking situation again 18 months from now. Finding a position where you can thrive – where you can put down deep roots and you and your family can grow a great life - is a lot like a farmer planting their cash crop. The most important choice the farmer makes is where to plant the seed. Scatter your corn on a parking lot and you get one result. Scatter it on fertile bottom land - and you get a completely different harvest. The quality of the farmer’s crop, the quality of your life, depend on this choice. Your talents, training, drive and passion are your seeds. I am so sorry you finally realized your seeds were planted in a parking lot. Most doctors unknowingly give their best where this is little chance of their efforts growing into anything worthwhile. And I am so happy you are ready to pick up and move on. Quitting is a very healthy thing to do here. There is nothing more tragic than staying in a mediocre practice (I know I am being generous here) when there is much more fertile soil waiting out there for you and your family – if you know how to find it. "For 14 years I had to shield the rest of my life from my job. Every day going to work felt like another beat down. I was surprised by how much I got out of the training with relatively little time spent (compared to the ruminating about how badly things were going). I learned how to use my Ideal Job Description as the bullseye in my job search and move to something more satisfying rather than just running blindly away from this job. I enjoyed learning how to interview my potential new employer rather than them interviewing me. This new job is a much better match for my ideal job description and a dream I have had in the background for a long time. I will be doing work I enjoy, with people I trust and the six figure signing bonus is great. How do you put a price on sanity? 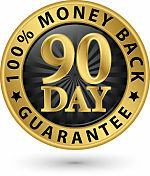 This training is a bargain at any price. " Step #1 in any job search is NOT to start looking for a new job, or put in your notice, or contact a headhunter or any of that. Step #1 is to take a good long look in the mirror and ask the most important question. “What do I really want in my practice and my life?” When you have an honest, detailed, straight-from-your-heart answer to that question written down, only then are you truly ready to begin. That answer is your Ideal Job Description and the key to guaranteeing a much better position this time around. And I am completely aware no one has ever asked you that question before. WIthout an Ideal Job Description, your practice will tend to become more frustrating over time. Just look at your current position. In your current practice, no one is interested in what YOU really want. They are determined to make sure you do exactly what THEY really want – this is usually called a Job Description. When their Job Description does not match your Ideal Practice - and you take that job – you just threw your seeds on their parking lot and are praying for a bumper crop. How is that going so far? Let’s make sure this does not happen again. Most physicians look for a new job to escape the things they hate about their current job. You are – in effect – running away. You don’t have a clear target for your search. Any job will do so long as it is not this job. Escape is your only priority. You hope you can find a better place. You are relying on luck going forward. Once you are clear on your Ideal Job Description -- Lesson #1 of the Ideal Physician Job Search Formula -- you have a target. There is a bullseye to coordinate every aspect of your search and guarantee a high quality choice in the end. You would never choose a new position that is any less than a 70% match with your Ideal Job Description. Please notice the level of precision here. Bring your bullseye into clear focus and aim dead center. The more unhappy you are now, the more likely you are to jump to an even worse position. I know that may seem impossible given your current situation, but trust me “out of the frying pan and into the fire” is just one of the classic mistakes the Job Search Formula Training will teach you to avoid. -- Stop the Agony of Indecision. How to make the decision to quit ... if you are sitting on the fence. Making the decision to quit is often the hardest part. Learn how to put in your notice and exactly what to do in the days between putting in your notice and walking out the door for the last time. -- Avoid Doctor's Top Three Job Search Mistakes and get it right this time.We have seen three distinct and predictable mistakes nearly all physicians make naturally and automatically when looking for a new job. You will learn how to spot and avoid all three. -- How to Build a Bridge Job if You Need Income Right Away - in some specialties it can take a while to find your Ideal Job. You will learn how to build a bridge to a more Ideal Position if you need to leave this job right now. -- How to Activate the Two Key Networks of your Ideal Job Search - most only activate one and instantly eliminate half the available jobs without knowing it. -- How to Deal Effectively with Recruiters - Remember THEY Work for YOU - NOT the other way around. Learn how to stay in charge of this sometimes difficult relationship. -- The Power Networking Question That Gets Everyone Working for You in Your Job Search - ask this question using these exact words and watch how interesting opportunities just start showing up. -- Three Reasons Employed Physicians Quit and How to Eliminate All of Them From Your New Job. Eliminate these job killers right up front. -- How to Comfortably Tell Everyone You Are Leaving With a tried and true "Talk Track". Know exactly what to say every time people ask you why you are leaving ... be they patients, colleagues or staff. -- Make Your Move Smooooooth: The Two Transition Action Lists. Check these boxes and your move will flow - for you and your family. We even show you how to create your own Job Share Position if that is what you really want. 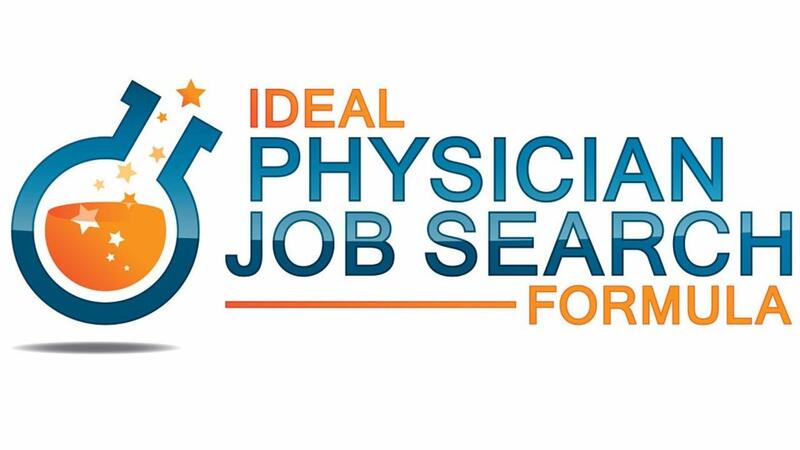 The Ideal Physician Job Search Formula has been tested in the real world by hundreds of doctors just like you. We know these lessons work and are happy to offer you a full guarantee. I have over 2000 hours of one-on-one coaching experience with burned out doctors. I have helped doctors in many different specialties locate, get an offer, sign and onboard themselves into a new job that is a much better match for their Ideal Job Description. Let me teach you the entire system. "I completed my first on-site interview this past week. I went all "Ideal Job Search training" on them, with four sheets of questions. Those poor people didn't know what they had coming. I had nine people around the table, from the practice manager, clinic manager, lead physician, and all the APPs. Their questions stalled out after 5 minutes. Then I asked them if I could ask them some questions, pulled out my list, and just started a nice conversational 90 minute fact finding. Several times they said things like "Wow, you have a lot of questions" and "I've never thought of that before." And I followed the formula to the letter, keeping it easy going but focused, and letting them know that "yes, I have a lot of questions because I want to make sure I am a good fit here and can become a valued member of this organization." It was excellent, just as promised by the course. They offered me the job on the way home as I was leaving town and are sending me the contract to look over. I highly recommend The Ideal Job Search material, it is a game changer." If you have any questions, please use this form to contact me directly. Until then, here's to finding your Ideal Job.